The Listening Room image by Scott Clark. When thinking about top home furnishings specialty retailer Crate and Barrel, one usually thinks about what to put for the wedding registry or what to get for your kitchen or bedroom to have your home looking sleek. Music is probably the furthest thing from one’s mind. 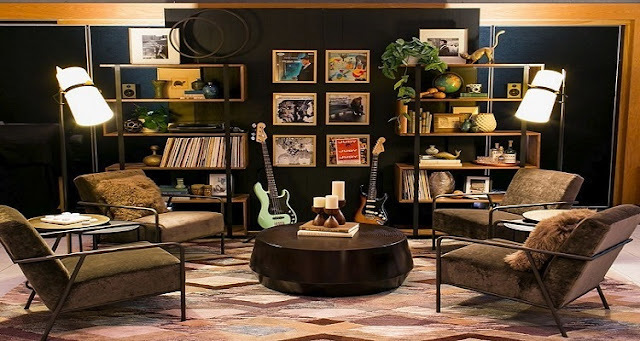 Now, in an attempt to appeal to the music lover and geek inside all of us, Crate and Barrel announced yesterday a brand new collection of cutting-edge audio equipment, exclusive furniture and accessories as well as a selected collection of vinyl recordings thanks to its brand new partnership with Capitol Records. Sanchez, Daniel Adrian. "Specialty Home Furnisher Crate and Barrel Announces the Listening Room." Digital Music News. 2016. Accessed August 04, 2016. http://www.digitalmusicnews.com/2016/08/03/crate-and-barrel-announces-listening-room/.